Olfa Products	There are 5 products. 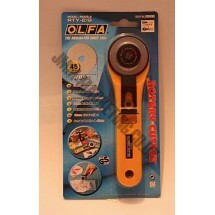 1 * Olfa Rotary Cutter. 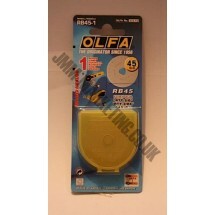 1 * Olfa Rotary Cutter Spare Blade. 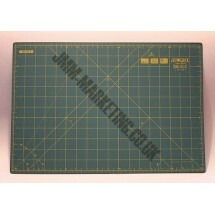 Olfa Self Healing Mat - 18" x 12"
1 * Olfa Self Healing Mat - 18" x 12. To protect surface and extend blade’s life. Olfa Self Healing Mat - 24" x 18"
1 * Olfa Self Healing Mat - 24" x 18". To protect surface and extend blade’s life. Olfa Self Healing Mat - 36" x 24"
1 * Olfa Self Healing Mat - 36" x 24". To protect surface and extend blade’s life.